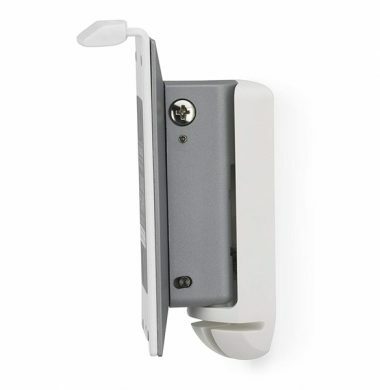 With the Flexson – Sonos PLAY 1 wall mounted bracket you can tilt it, swivel it, even hang it upside down! Flexson’s bespoke bracket for the SONOS PLAY:1 allows you to wall mount your speaker in the ideal place to sound – and look – great. 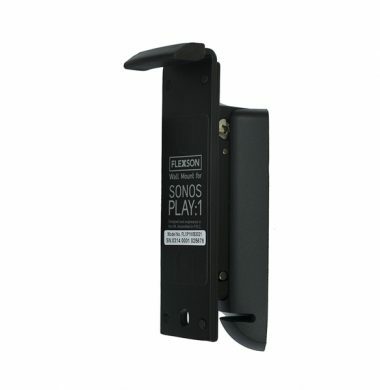 With the Flexson – Sonos PLAY 1 wall mounted bracket you can tilt it, swivel it, even hang it upside down! Flexson’s bespoke bracket for the SONOS PLAY:1 allows you to wall mount your speaker in the ideal place to sound – and look – great. 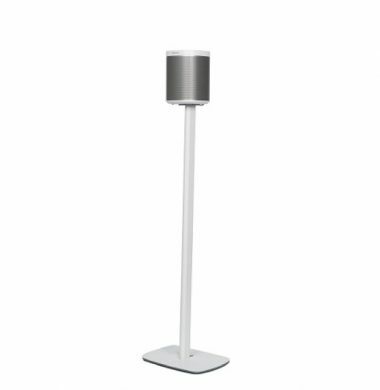 The exciting new SONOS PLAY:1 Bracket by Flexson can be positioned exactly where it’s needed using the floorstandcavaialble in a Black or White finish. Perfect for a stereo in a kitchen, conservatory or study or as part of a home cinema system. Secure fittings to ensure safe and secure placement on wall or ceiling. 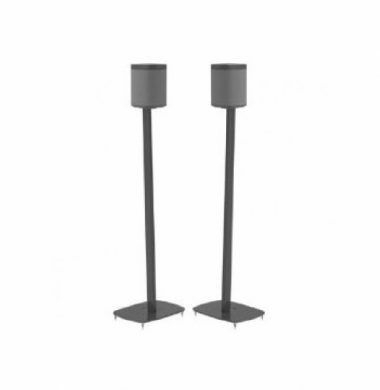 These slim elegant speaker stands fit neatly into postion avoiding bulky oversized alternatives. 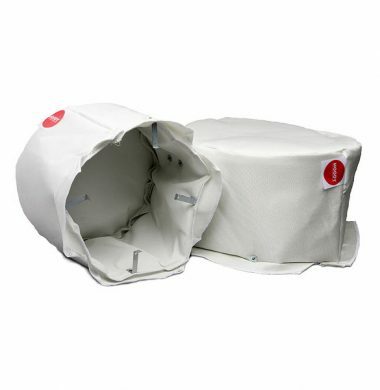 The HOODY 0.5 from Hoody Speaker Hoods Ltd is a fire and acoustic speaker hood designed not only to comply with the 30 minute fire barrier but to give you total peace of mind with 90 minutes of fire protection. Designed to be used with speakers that have 3-5 inch drivers (see other models in the Hoody Range for different sizes). The Hoody™ 1 from Hoody Speaker Hoods Ltd is a fire hood and acoustic speaker hood designed not only to comply with the 30 minute fire barrier but to give you total peace of mind with 90 minutes of fire protection. 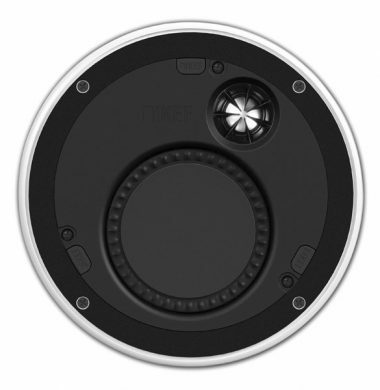 Designed to be used with speakers that have 5-6 inch drivers. 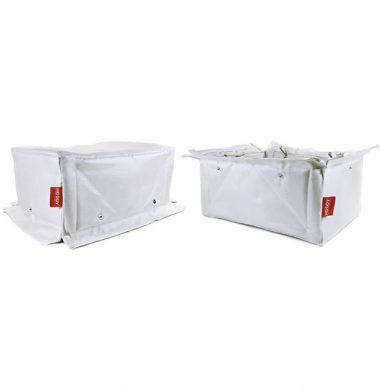 Ensure your project is safe with Hoody Fire Retardant Speaker Hoods that protect against the spread of heat/smoke through the ceiling recess in the event of a fire. 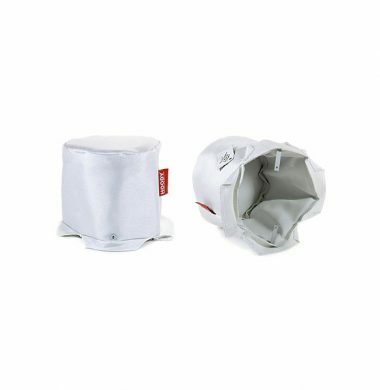 The Hoody™ 2 from Hoody Speaker Hoods Ltd is a fire hood and acoustic speaker hood designed not only to comply with the 30 minute fire barrier but to give you total peace of mind with 90 minutes of fire protection. Designed to be used with speakers that have 8-10 inch drivers. 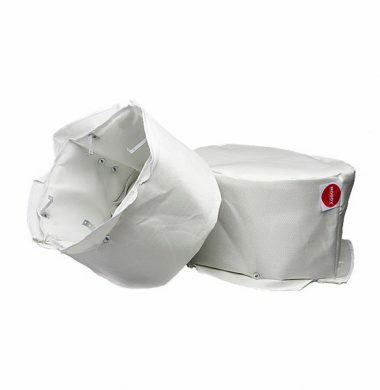 Ensure your project is safe with Hoody Fire Retardant Speaker Hoods that protect against the spread of heat/smoke through the ceiling recess in the event of a fire. 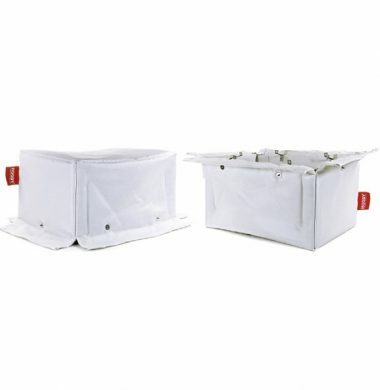 The HOODY 3 from Hoody Speaker Hoods Ltd is a fire and acoustic speaker hood designed not only to comply with the 30 minute fire barrier but to give you total peace of mind with 90 minutes of fire protection. Designed to be used with rectangular speakers that have 5-6 inch drivers. The HOODY 3 from Hoody Speaker Hoods Ltd is a fire and acoustic speaker hood designed not only to comply with the 30 minute fire barrier but to give you total peace of mind with 90 minutes of fire protection. Designed to be used with rectangular speakers that have 7-10 inch drivers. 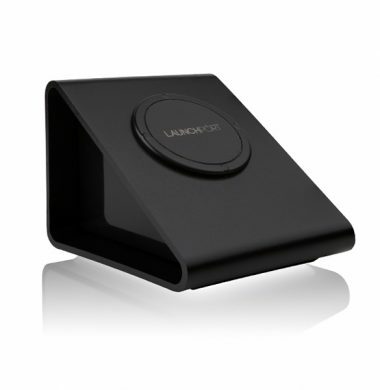 The LaunchPort Base station is a revolutionary way to mount and charge your iPad on a desktop or worktop. The system consists of a Station and a Sleeve. LaunchPort uses the magic of magnets and induction charging (charging through the air), it’s like magic. Your iPad is always charged and ready for use and has a perfect mounting station for safety and convenience.The LaunchPort Base Station is fantastic for use in the kitchen when accessing recipes and in an office or educational area for display or as a presentation tool. 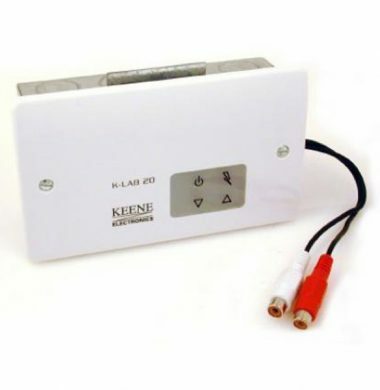 The Keene in-wall amplifier (KLAB20) is a unique product ideal for use in multi-room audio installations. It is a high quality stereo audio amplifier that is built into a standard sized UK double gang back box. It provides 20 Watts per channel RMS of amplification (when using 4 Ohm speakers) eliminating the need to make space for a conventional amplifier. It draws its own power from an externally located mains adaptor and control is by infra red remote. The new Keene KLABKITDB Bluetooth in-wall DIGITAL amplifier makes it is so easy to add music to any room, Kitchen, Bedroom, study or almost any room. 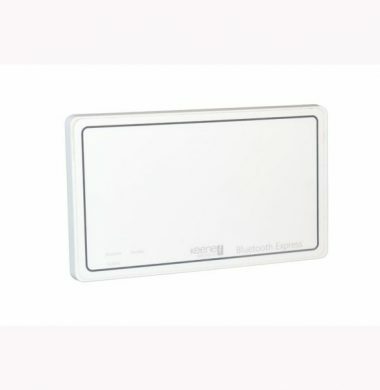 This small in wall amplifier fits into a standard UK double back box and only requires 25mm depth. 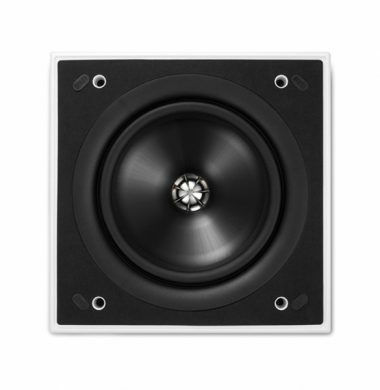 So is easy to install but, delivers an amazing 20W RMS per channel. You can choose from four music sources, either Bluetooth connectivity, integrated FM radio or rear line input or, you can even plug in your MP3 Player to the useful front jack socket. Control is easy, there are push/pressure buttons on the front panel membrane and an infra red remote. With the New KLABXB Bluetooth Express Digital In-wall Stereo Amplifier you can easily add music to your kitchen, bedroom, study, bathroom etc. This tiny wall mount amplifier fits into a standard UK two gang pattress and provides a powerful 20W RMS per channel. In operation it really couldn’t be any easier. 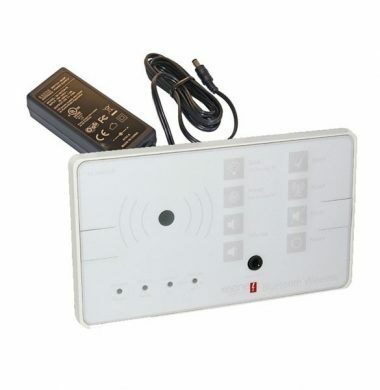 When you want to use it simply connect via Bluetooth and control the volume with your bluetooth device. When you disconnect or stop streaming the amplifier automatically switches into very low power standby mode. Whenever you connect again it instantly wakes up to deliver clear powerful audio. 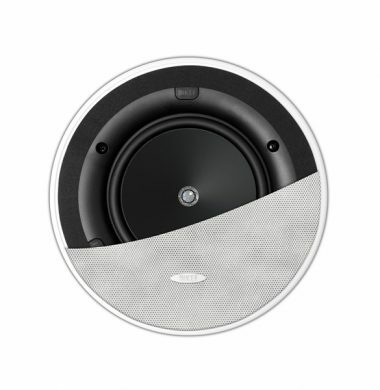 The KEF Ci160.2CR in-ceiling speaker features KEF’s patented Uni-Q driver array that allows sound to disperse more evenly throughout the room. The extremely shallow mounting depth of 84.5mm allows you to install the Ci160.2CR where other speakers in its class won’t fit. With a bass frequency down to 52Hz, the new KEF Ci160CR Thin Bezel speakers have a 'footprint' of 235mm diameter and a flush appearance. The grill of the KEF Ci160CR speaker is attached magnetically. 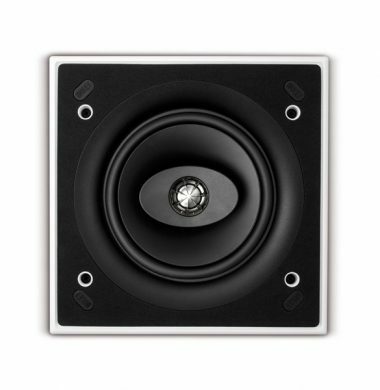 The Kef Ci160CRDS High Quality Stereo Ceiling Speaker is a high-fidelity flush-mount speaker that recreates stereo, and is ideal for locations where there is only room for one speaker. 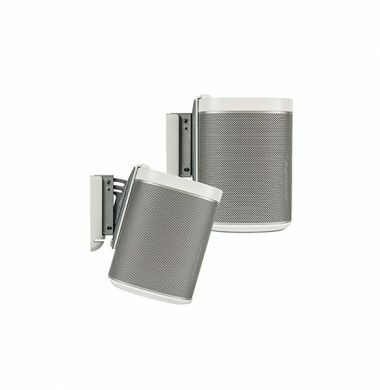 Thanks to KEF’s simple and ingenious screw down clamping system – with moisture-resistant fixings – you can place these speakers in environments such as bathrooms or under eaves.The KEF Ci160CRds Ci Series Dual Stereo models are high-fidelity flush-mount speakers that recreates stereo, and are ideal for locations where there is only room for one speaker. 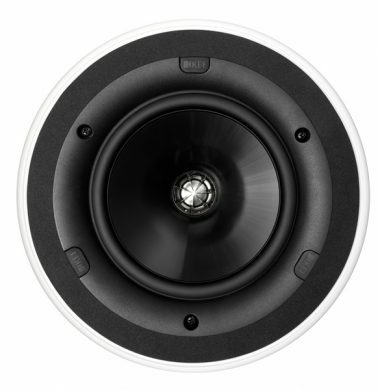 The KEF Ci160QR In Ceiling Speakers Feature KEF’s sophisticated ’sit anywhere’ Uni-Q driver array, which places the tweeter in the acoustic centre of the bass/midrange cone, this allows both the tweeter and woofer to act as a single point source that disperses the sound widely and evenly throughout the room. 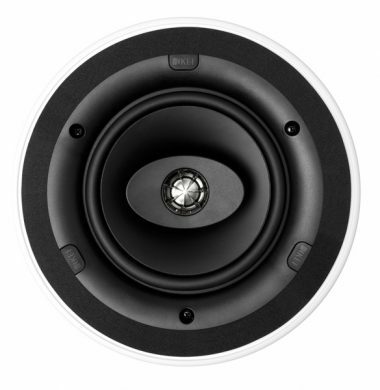 Together with the discreet Ultra Thin Bezel (UTB) design, offering the slimmest possible visible rim around the speaker, the Ci Q Series range gives you tremendous freedom to position the speakers where you please. The KEF Ci160TR boasts the latest incarnation of our formidable 4.5in mid/bass T series driver and powerful 1″ tweeter, the ultra-slim new T-Series Ci speakers open up new possibilities for enjoying KEF’s uncompromised sound quality where space above the ceiling is at a premium. Requiring less than 36mm of mounting depth, the Ci160TR fits snugly in very narrow ceiling spaces and is therefore specified for demanding applications such as today’s luxury high-rise apartments and super premium motor yachts. 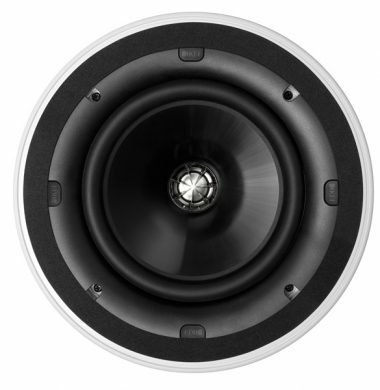 The KEF Ci200CR In Ceiling Speaker, featuring the KEF’s unique asymmetrical tweeter island, this configuration reduces high frequency diffraction and aligns the off-axis power response of the tweeter and woofer to make the speaker almost as placement friendly as Uni-Q. Combining impeccable sound quality with the elegant ultra-thin bezel (UTB), the Ci C Series range is part of how to “Hide your speakers, not your sound. 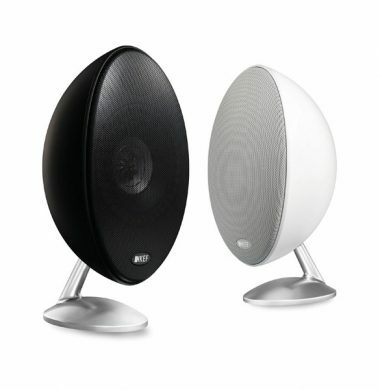 The KEF Ci200QR In Ceining speaker features KEF’s sophisticated ’sit anywhere’ Uni-Q driver array, which places the tweeter in the acoustic centre of the bass/midrange cone, this allows both the tweeter and woofer to act as a single point source that disperses the sound widely and evenly throughout the room. 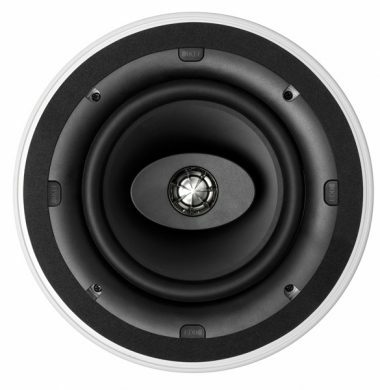 Together with the discreet Ultra Thin Bezel (UTB) design, offering the slimmest possible visible rim around the speaker, the Ci Q Series range gives you tremendous freedom to position the speakers where you please. The Ci200QS incorporates KEF’s patented ’sit anywhere’ Uni-Q driver array, to act as a single point source that disperses the sound widely and evenly throughout the room. 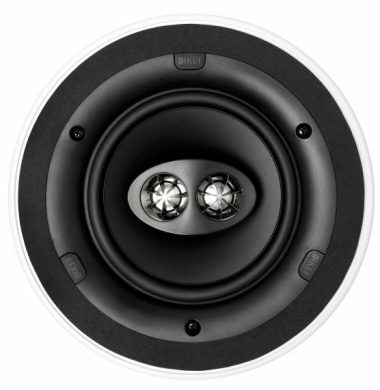 The Ci Q Series range gives you tremendous freedom to position the speakers where you please. Computer Optimised Trim Ring offering stunning midrange clarity and an open, natural sound across a wide area.